Welcome to The Pen Shop's Online Shop at www.penshop.co.uk (the 'Site'). This Site and its supporting operation is managed by the Pen Shop Trading Limited (registered U.K. number 11882469 ). Please read the following policies carefully before using the Site. By using the Site, you signify your agreement to be bound by these conditions. 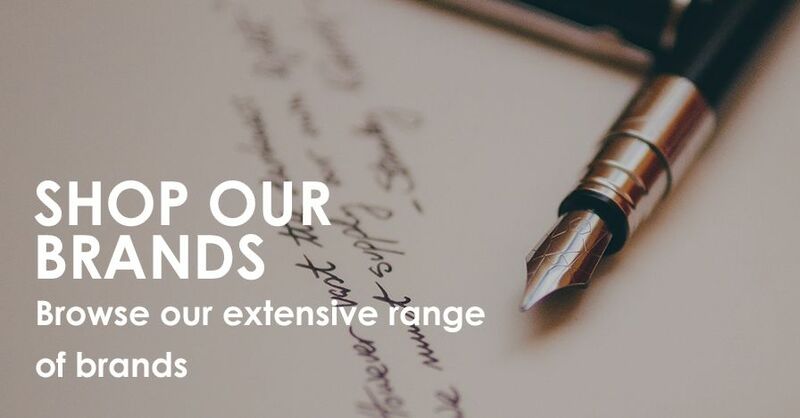 "The Pen Shop" (also referred to as ‘we' and ‘us') means The Pen Shop Trading Limited, trading as The Pen Shop and any other connected organisation that supplies the goods to you and any successor to its business, registered in England & Wales No. 11882469 whose registered office is at The Pen Shop Trading Ltd (T & G Allan Morpeth Ltd), 24 Newgate Street, Morpeth, Northumberland, NE61 1BA, United Kingdom. “Site” means The Pen Shop's online shopping website at www.penshop.co.uk. "Shop" means The Pen Shop's Online Shop for online ordering of merchandise located at www.penshop.co.uk. Our details: The Pen Shop Ltd (T & G Allan Morpeth Ltd), 24 Newgate Street, Morpeth, Northumberland, NE61 1BA, United Kingdom. To contact us by telephone, please ring 0191 232 3853 or by email at sales@penshop.co.uk. These are the general terms and conditions of The Pen Shop governing your use of the Site. 4.3 In the event of any failure or error in the operation of a password(s), you shall cease using the password(s) and exit the Shop immediately, and notify The Pen Shop of such failure or error. 4.4 You consent to us using your email address to send basket recovery. 5.1 All intellectual property rights in any material (including text, photographs and other images and sound, downloads, software, trade marks and logos) contained in the Site is either owned by The Pen Shop or has been licensed to The Pen Shop by the rights owner(s) so that The Pen Shop can use this material as part of the Shop. These rights are protected by United Kingdom and international copyright and database right laws. You are only allowed to use this Shop and the material they contain as set out in these terms. 6.1 This Shop also contains links to other third party websites, which are not under the control of and are not maintained by The Pen Shop. Any such links do not constitute an endorsement by The Pen Shop of any products or services available on such sites. The Pen Shop provides these links for your convenience only and you use such links entirely at your own risk. We accept no responsibility for the content or use of such sites or information contained in them. 9.2 This Agreement constitutes the entire agreement between The Pen Shop and you and supersedes all prior agreements, representations, statements and understandings between The Pen Shop and you regarding the use of the Site. You agree that you have not relied upon any representation or statement not recorded in these Conditions in entering into this Agreement. 9.3 The failure of The Pen Shop to exercise or enforce any right or provision of this Agreement or the delay by The Pen Shop in so doing shall not constitute a waiver of such right or provision. If any provision of this Agreement is held invalid, the remainder of this Agreement shall continue in full force and effect. The section titles in this Agreement are for convenience only and have no legal or contractual effect. Should you purchase any goods from the Shop, you will be contracting with The Pen Shop on the terms outlined below. Please read these terms and conditions carefully. 1.1 These Terms of Sale ("Sales Terms") govern the supply of any goods you order via this Shop. Please read through the Sales Terms carefully. If you do not agree with the Sales Terms, do not order any goods from this Shop. If The Pen Shop accepts any order for goods from you, then its agreement with you will be made on these Sales Terms. 1.2 Please note that The Pen Shop reserves the right to amend the Sales Terms from time to time. The Pen Shop will publish the amended Sales Terms on the Shop and any new versions of the Sales Terms will come into effect as soon as The Pen Shop publish them on the Shop (with the exception that any orders that The Pen Shop have already accepted from you prior to any such change will be subject to the Sales Terms in force at that point). If you use the Shop after The Pen Shop has published the new Terms, your continued use of the Shop indicates that you agree to be bound by the new Sales Terms. 2.1 The Pen Shop may terminate or suspend the supply of any goods displayed on the Shop in the event of out of stocks, for support or maintenance work, in order to update content or for any other reason. The Pen Shop may do this at any time and without notice. Products on the Shop are normally available for despatch within 24 hours, with the exception of certain items marked as “unavailable to order” – for these items customers can request an email notification when they become available. 3.1 Pricing policy - The Pen Shop may change the prices of the goods displayed on the Shop at any time. Please note that products, prices and offers in our stores may differ from those featured on the Shop. The prices for all the goods available on the Shop are clearly marked in their description and all items are subject to VAT at the prevailing rate. The VAT inclusive amount is included in the total price published on the site. We reserve the right to raise our prices in line with any increase in the prevailing rate of VAT. This will be shown clearly on your order. All applicable delivery charges are also displayed on the Shop. All prices are in Pounds Sterling. The Pen Shop may make available offers and discounts using promotion codes. Only one promotion code is valid per order. 3.2 Conclusion of Contract of Sale -The information relating to The Pen Shop's goods and relevant prices are displayed on the Shop for your information and to enable you to decide whether you would like to make us an offer to purchase any such goods. The Pen Shop cannot accept your order until you have paid for it in full (including any applicable delivery charges). When you place an order to purchase a product from www.penshop.co.uk, we will send you an e-mail confirming receipt of your order and containing the details of your order. Your order represents an offer to us to purchase a product which is accepted by us when we send e-mail confirmation to you that we've dispatched that product to you. That acceptance will be complete at the time we send the dispatch confirmation e-mail to you. Any products on the same order which we have not confirmed in a dispatch confirmation e-mail to have been dispatched do not form part of that contract. Whether or not you receive the e-mail, our acceptance of your order will create a legally binding contract between us. We reserve the right not to supply you at our discretion. 3.3 Method of payment - For orders placed via the Shop, The Pen Shop accepts Visa, MasterCard, American Express, bank Maestro cards and PayPal. When making your payment, it is imperative that you provide the information that The Pen Shop specify is required, for example, cardholder's name as it is shown on the card and address exactly as it appears on the card statement. Your card will be debited when The Pen Shop confirms that it has accepted your order. Ownership or title to the product shall not pass to you, the buyer, until The Pen Shop has received payment in full. Your purchase amount will be charged to your credit card account in the currency you have selected, US Dollars (USD), British Pounds (GBP), or Euros (EUR). Prices on the Site are based in British Pounds and if choose to browse prices in USD or EUR, you will see an equivalent approximate price presented in the respective currency. Once you confirm your order, your card will be charged in an amount in GBP which you will be able to preview on the Confirmation Page - this GBP amount will then be converted by your bank into an amount and currency normally presented on your card statement, at an exchange rate determined by your bank. This amount may be different from the USD or EUR amount indicated on the checkout page on the Site. 3.4 Delivery - Delivery charges are displayed on the Site for UK and International orders for Standard and Next Day Delivery, the latter of which is not available for deliveries outside the United Kingdom. Orders placed with our standard delivery service will be dispatched within 2-3 working days using Royal Mail Second Class Post. While most orders arrive within 48 hours we do advise delivery on these items can take up to 5 working days from dispatch. Please allow up to 20 days for international delivery, some countries could be longer. As with all foreign imports, you are liable for any taxes and duties imposed by your local taxation authority (e.g. customs duty, excise duty and/or import VAT). It is important that you check these rates before ordering. Unfortunately we cannot deliver to PO Boxes as we need a signature upon delivery. Please note it is the customers responsibility to make sure the correct shipping address is provided on their order, The Pen Shop are not liable for orders sent out with incorrect addresses. Our next day delivery service, when it applies to orders for delivery to UK addresses as indicated on the Shop, is available for orders placed Monday to Friday before 11.00am. Please note next day delivery applies to stock lines only and is not a guaranteed service. Orders placed with our standard delivery service will be dispatched using Royal Mail 2nd Class post to reach the customer within 3-5 working days for UK addresses. If for any reason we are unable to meet our delivery commitments, we will contact you with a revised estimated delivery date or offer you the option to cancel or select other goods. If you order Products from the Website for delivery to one of the International Delivery Destinations, your order may be subject to import duties and taxes which are applied when the delivery reaches that destination. Please note that we have no control over these charges and we cannot predict their amount. You will be responsible for payment of any such import duties and taxes. Please contact your local customs office for further information before placing your order. You must comply with all applicable laws and regulations of the country for which the Products are destined. We will not be liable or responsible if you break any such law. 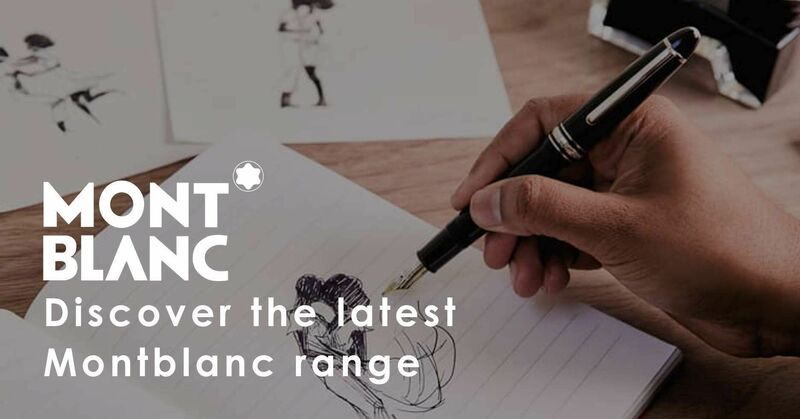 If you have not received your goods within the above timeframe, please contact our customer services department by email at sales@penshop.co.uk. For UK orders please let us know within 28 days after dispatch if your order has not arrived. We can deliver most items worldwide although please note there are some exceptions including Malaysia, Ghana, Congo, Romania, South Sudan, Indonesia, Nigeria, Mexico, Chile, Vietnam, Russia, India and China, contact us for more information. Additional charges will apply for all international delivery. Gift wrapping is free of charge on items in stock at our warehouse that are over £75. Our engraving service is charged at a rate detailed on the Shop, £7.50 for most items. For more information on our delivery services click here . Please note we do not send paper invoices out with our goods. To receive a VAT invoice log into your account area on the website and go to the ‘Order Information’ page you can then ‘View Order and Print Order’ which gives you the option of printing a VAT receipt as a PDF file. 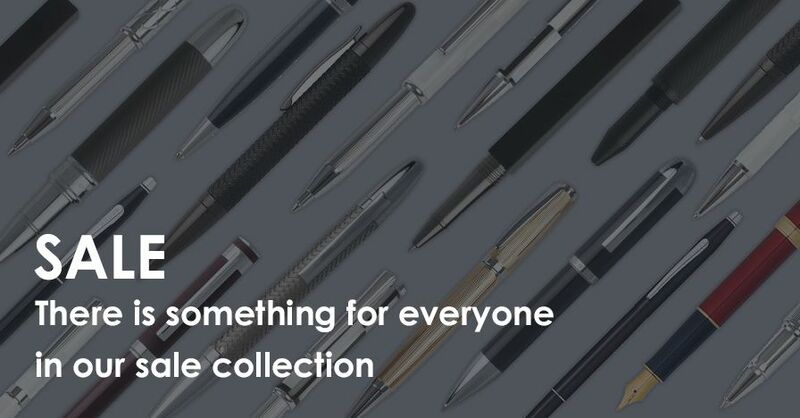 3.5 Out of stocks - If any item you have chosen is unavailable, The Pen Shop will contact you via phone or your email address and set out the options that are available to you. 3.6 Return of goods policy - We want you to be completely satisfied with your purchases. Please let us know if you are not entirely satisfied with our products or our service, so that we can rectify the situation. We try to ensure that the products are the same as our original samples, although sometimes differences do occur. Items are described and photographed as accurately as possible, but please note that sizes, colours and designs may vary. If you are not completely satisfied with any item you ordered, just return it, unused and in their original condition and packaging (with your customer advice note) within 30 days of the date of receipt and we will refund your money or send you a replacement or exchange - no questions asked (This return policy does not apply to products that you have requested to be engraved / embossed, or have otherwise been made to your specific requirements). Items returned under The Pen Shop's 30 days returns policy must be unused and in their original packaging. Please note: we can only accept the return of used items if they are faulty. If you decide to return the goods within this 30 day period, you are responsible for the cost of postage and packaging necessary to facilitate the return. If your goods are different to those ordered, faulty or damaged on delivery we will exchange the product or issue a full refund to you (Including any delivery charges you have paid). When you send your item back to us, we'll process the returned item then notify you via e-mail of your refund. You can expect a refund in the same form of payment originally used for purchase within 30 days of our receiving your return. Please note that the costs for returning the item to us are unrefundable. If you are returning an item because of an error on our part or because it is damaged or defective, we will be happy to issue a refund or exchange the product, and we’ll refund the delivery charges incurred in sending the item to you and we'll reimburse your costs in returning it to us. In order to arrange a return please telephone our order centre on 0191 487 0033 or email sales@penshop.co.uk to request a prepaid return label. Returned goods remain your property until they are received at our mail order centre, so we strongly advise that you use a recorded method of delivery (proof of posting) when returning goods to The Pen Shop. Please note online orders can not be returned to one of our stores they must be returned to our warehouse through the instructions on your dispatch note. The Pen Shop return policy is in addition to your statutory rights. 3.7 Cancellation Policy - Please note that you have a legal right to cancel your order within 7 working days of the date of receipt of the goods. The right to cancel can be exercised in writing or via email as sales@penshop.co.uk. By returning (at the customers expense), packing securely and enclosing the advice note and receipt and sending it back to The Pen Shop Ltd (T & G Allan Morpeth Ltd), 24 Newgate Street, Morpeth, Northumberland, NE61 1BA, United Kingdom. A refund will be provided within 30 days of the date of cancellation. 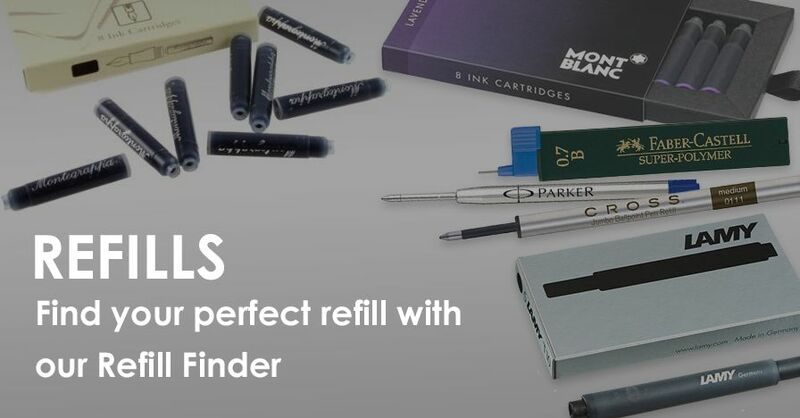 If you wish to cancel your order you can also do so before it is dispatched either by telephoning us on 0191 487 0033 (lines are open 9am -5pm weekdays) or e-mailing us at sales@penshop.co.uk. This right of cancellation does not apply to products that you have requested to be engraved / embossed, or have otherwise been made to your specific requirements. 3.8 Legal age - The Pen Shop does not sell products for purchase by children. If you are under 18, you may use The Pen Shop only with the involvement of a parent or guardian. 3.9 Vouchers - From time to time, vouchers may be issued for free delivery or for discounts on orders or products online. You may only use one voucher per order. Some vouchers may only be used once per customer. These vouchers may only be for use on our website and not in our stores. Vouchers may not be used on returns or exchanges. Please contact sales@penshop.co.uk if you have any questions about redeeming a voucher code. We currently do not accept The Pen Shop Gift Voucher on line or over the telephone. However, they can be redeemed in any of our stores Nationwide.